Philip N. Argy is an experienced commercial mediator, arbitrator, expert determiner, negotiator and strategist. He specialises in intellectual property, science and technology and has an Australian Government Negative Vetting 2 security clearance as well as being an experienced programmer. Philip established ArgyStar.com primarily to evangelise and implement dispute resolution and avoidance strategies in the IT sector. He is also a director and founder of the Sydney-based Technology Dispute Centre. Philip qualified at the University of New South Wales for a Bachelor of Commerce (Information Systems) degree in 1975 and a Bachelor of Laws the following year. He is a Resolution Institute Advanced mediator, a Fellow of the Institute of Arbitrators and Mediators Australia (IAMA) and was also one of the first mediators to be accredited under the Australian National Mediator Accreditation System which came into force in 2008. Philip is on the World Intellectual Property Organisation (WIPO) panel of neutrals for the resolution of intellectual property and technology disputes, especially those involving domain names. Euromoney’s Best of the Best has repeatedly listed Philip as one of the best information technology lawyers in the world. He is also an experienced angel investor and business mentor. 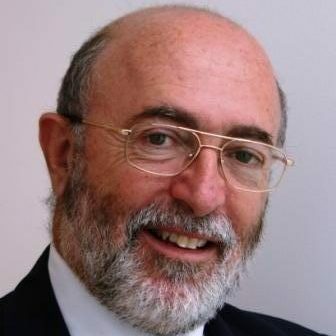 Philip drafted the auDRP – Australia’s domain name dispute resolution policy and chairs the Registrants’ Review Panel, established to resolve disputes between registrants and auDA over domain name cancellations. In Artificial Legal Intelligence, published in 1997 by Dartmouth Press, Philip is officially credited with having written the first legal expert system in Australia. Acquisition International’s panel voted him Commercial Mediator of the Year for Australia in 2014. Philip is a past Director of the Computer Law Association (now International Technology Law Association), a member of the Australian Institute of Company Directors, and a Past President (and Honorary Life Member) of the Australian Computer Society. Philip is also a director of the Mediator Standards Board, and is a former chairman of the Webcast Committee of the International Technology Law Association. Philip enjoys the distinction of being the sole Australian member of the SVAMC Tech List.